Wardens and Civil Defence personnel had a variety of bags, haversacks and other items that were either issued or could be privately purchased. ​Decontamination and Rescue Squads has equipment specifically for their respective roles. All Wardens' Posts would be allocated a first aid box that contained the necessary supplies to deal with wounds until an ambulance was available. There are some boxes marked with "Light Rescue". Specially manufactured water bottles (marked HBS Ltd ) were issued to CD personnel with a canvas strap. 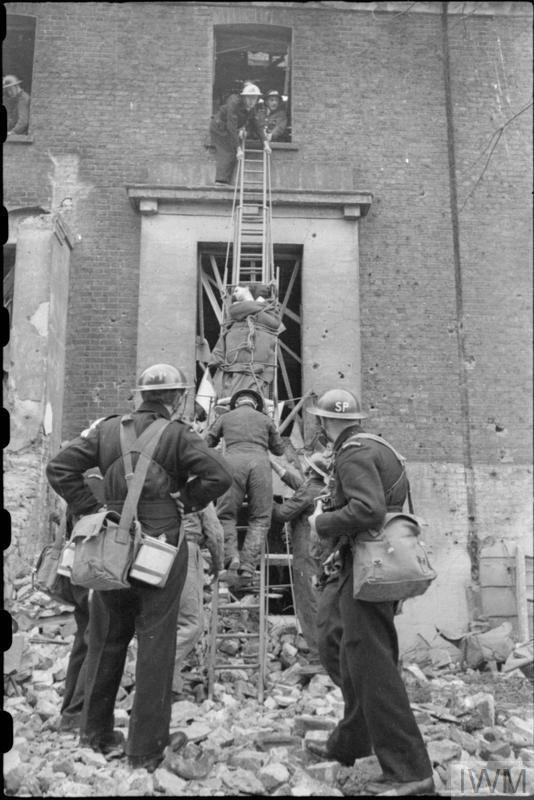 Stretcher Party member carrying an ARP water bottle (IWM). A private purchase penknife featuring a blade and marlin spike was manufactured by two companies early in the war. The DCC (Devonport Cutlery Company) and GG&S (George Gill & Sons) marked penknives are 1939 dated. They included an integral loop to attach the penknife to a lanyard or belt.